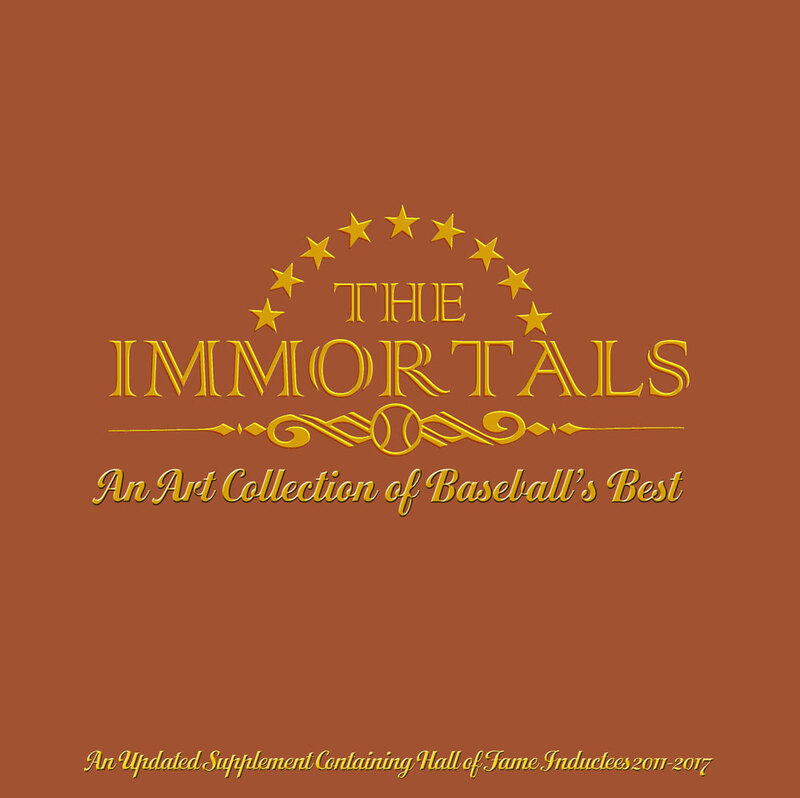 Now available, The Immortals softbound! The must-have, highly acclaimed and popular baseball art book is complete and unabridged at an affordable price. 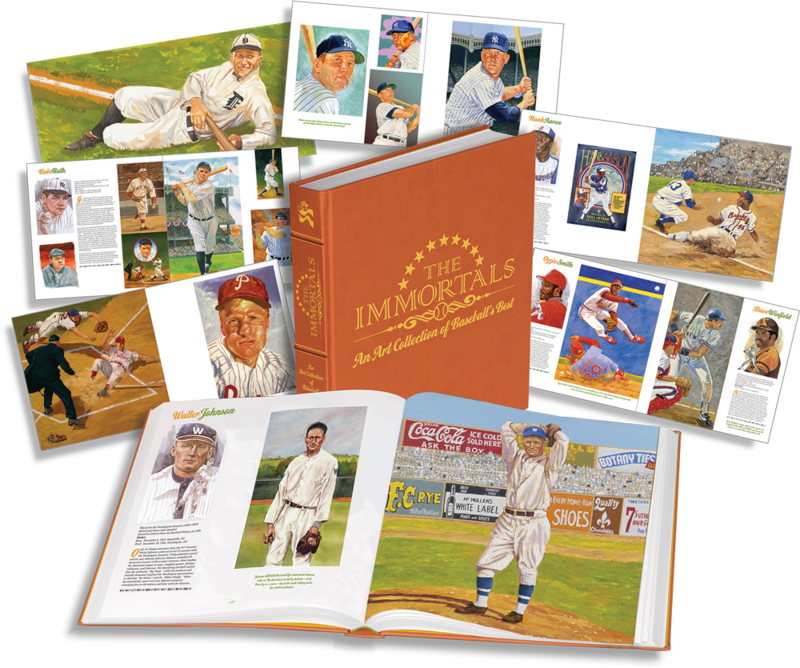 Measuring 12” x 12” with 560, full color pages, The Immortals softbound is printed on the same quality stock as the original hard-bound version. The only difference is the beautiful cover. 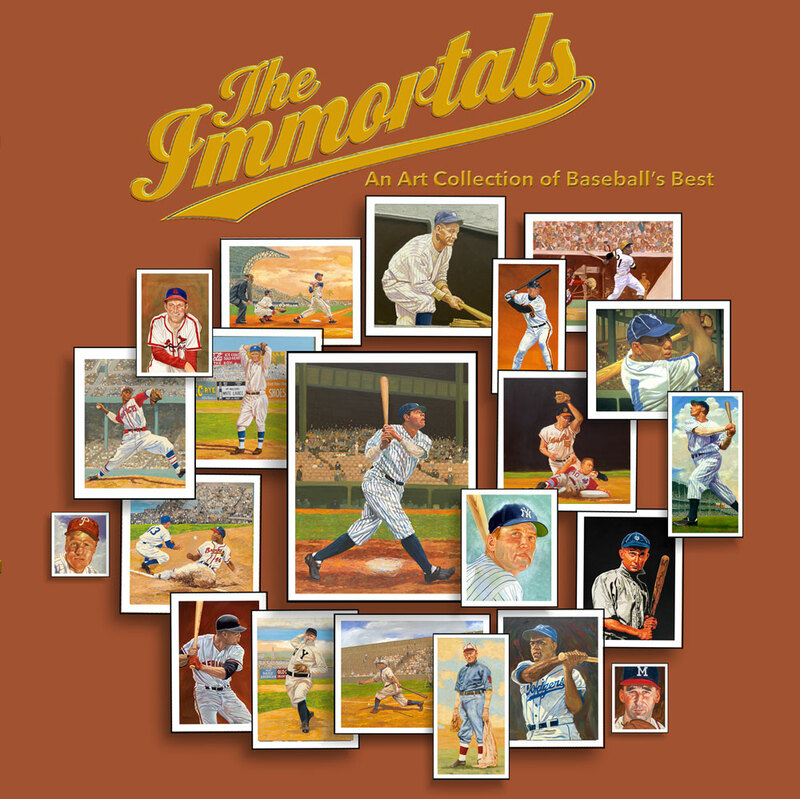 The Immortals is an elaborate visual documentation of our national pastime through the lives of the members of the Baseball Hall of Fame. Inside you’ll find over 1400 works of art, carefully researched, depicting the evolution of uniforms, equipment, and ballparks. 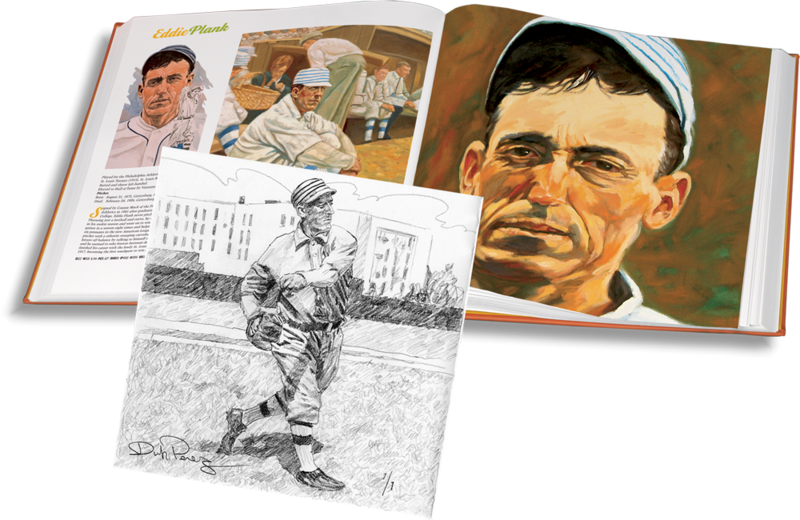 Also included are player portraits, bios, lifetime statistics, and illustrated historical narratives from baseball’s origins to the modern era.